Advice, tools, resources & information you need to succeed in business! take her business to the next level? Still not where you want to be? with all the information that's out there? It's finally time to stop making excuses & really start taking action towards doing what you love! Whoever said turning your passion into a profitable business wasn't possible is a liar. Doing what you love & knowing how to make money at is IS POSSIBLE & I'm living proof. Starting and growing your business is not an easy task! Trust me I've been there. But along the way I've learned the necessary strategies, tools, mindset & resources you need to be successful & I've created The She's in Biz Blueprint to teach you how to do it too! Stop wasting time & money trying to figure it all out on your own! the right way in today's world! I've tried setting up a business on my own before, but this time I wanted to do it right, and Maria has been my cheerleader and boot camp drill sergeant kicking my tail and holding me accountable. And that's just what I needed. It would have taken me months to write copy, create my website, email marketing messages, and a private FB group. But I was able to accomplish this in less than a month and a half. Phew! But I wouldn't change a thing." 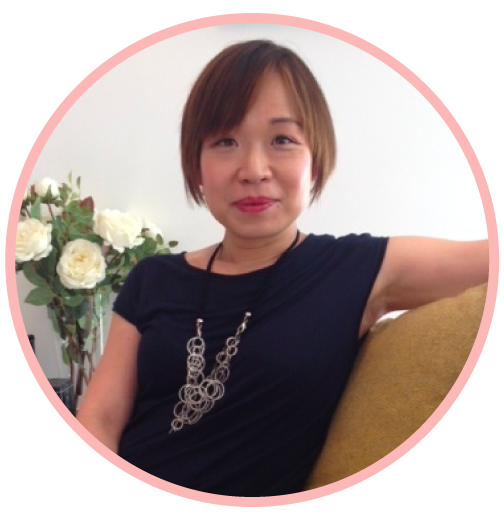 "A single coaching session with Maria helped me gain clarity on the next steps for my invention. With her years of experience, she was able to give me advice, support and concrete actions that I could take NOW to get closer to my dream. Most of all, I found a renewed excitement for my goals!" show you the success mindset you need to have! turn your creative vision into a business! crave clarity & direction in your life & business! have too many ideas & don't know where to start! want to know the secrets of a successful business! At the end of this module you will be able to clearly identify what you want & the steps necessary to get it. Discovering Your Why: who you are and why would people want to do business with you? At the end of this module you will be able to clearly articulate your Values, Mission & Vision. At the end of this module you will be able to clearly define your ideal customer avatar. At the end of this module you will know how to get leads from your website & how to brand yourself by standing out. At the end of this module you will discover techniques & strategies to help gain more visibility, exposure & PR for your business. At the end of this module you will understand how to get clients from Social Media. mindset, tools, resources & strategies I've used to grow my business. I want you to have it all. 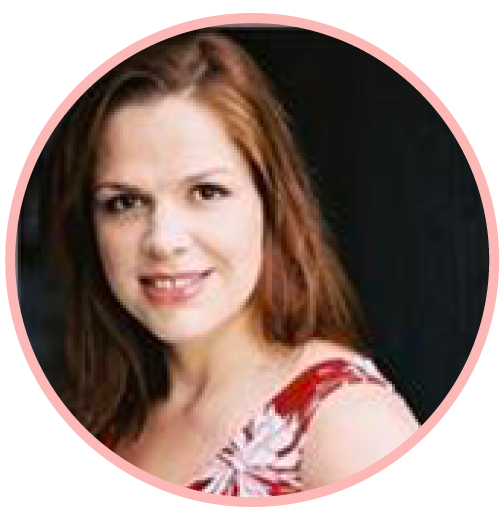 "Before speaking with Maria, I felt out of touch as a business woman in the lower mainland. I wanted to explore as many options as I could about facing challenges and opportunities for growing my business. Understanding the potential for my business through social media and other avenues was an eye opener. Maria gave me invaluable ideas, tools and connections that are already in place and making a difference daily. She has a way of making you feel that there is nothing you cannot do. She is courageous, determined, astute, lovely and caring all wrapped up in what I consider one of the few truly wonderful women I am privileged to know and work with. I am a member of Ladies WHO Lunch and I have also had the pleasure of a coaching session with Maria. The network and the session are both awesome! In my session with her, we discussed a number of different marketing strategies, some I have not tried in the past. Maria has a very creative mind and asks the right questions to drill down into the real meat of a situation. She is also extremely positive and encouraging and this is really helpful as an entrepreneur where running a business can seem lonely. This is another reason that the LWL network is a great thing to be a part of; you get to connect with business women and learn new things! I highly recommend Maria for her as a person and the services she provides! The course starts as soon as you purchase it! It is a completely self-paced, digital course that you decide when to start and when to finish. You have lifetime access! After enrolling you have unlimited access to this course for as long as you like, across any and all devices you own. What is the refund policy for this course? Due to the INSTANT ACCESS & digital nature of this program, there are no refunds. I don’t have a business yet. Is "She's in Biz Blueprint" right for me? Yes absolutely! In the program we will help you discover what it is you’re passionate it about and help you make it a reality by the time the program is over! The She's in Biz Blueprint is a combination of audio trainings, video & downloadable worksheets. The content will be delivered weekly in our private online community that you can access at anytime. Will we have direct access to you? Yes. You will have one live coaching call with me a week corresponding to the 6 modules so you can ask me anything you like! We also have a private Facebook group where you can post your questions anytime & they will get answered! I’ve been in business for a few years but not getting any traction. Will SIBB help me with marketing ideas? Absolutely! We devote a whole module to how to market your business & bring more customers in the door! "I found coaching with Maria useful. When I asked her questions, she always gave me something insightful and wise. She won't leave you in the cold and always responds in a timely manner. More importantly, her answers quickly provided me clarity to some issues that I had. I enjoyed working with Maria. She's very good and very inspirational. She's a role model as well. When you see someone like Maria who is successful and still works so hard, how can you not? ;-) I just love her high positive energy!" 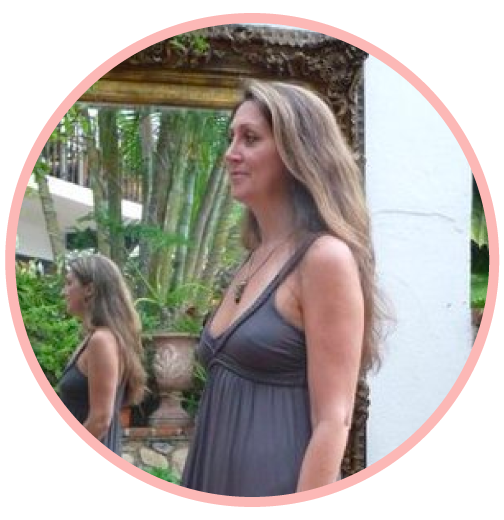 "Coaching with Maria was so helpful! You listen amazingly, and then quickly cut through my little story of why I hadn't completed what we discussed..
Now I need to take even that to the next level and I know you are the woman to back me and help me get there. I think one of the most important things that you do is hold people accountable!" Hi! I'm Maria Kritikos - THE FOUNDER OF THE LADIES WHO LUNCH® NETWORK, A GLOBAL COMMUNITY OF WOMEN COMMITTED TO SUPPORTING ONE ANOTHER TO REACH THEIR GOALS & DREAMS. I went from having it all to having nothing. I went from living a fairy tale life in a mansion with nannies to literally being homeless & having to sleep on my mom's couch with a 2 year old in tow. I created a global community of women from nothing, from scratch. With no help, no money, no resources, no team & no support. I had nothing but a beat up old computer and worked from my kitchen table night and day. I turned my crazy idea which at the time I had no idea how to make happen into this global thriving community and made quite a name for myself in the process. Today I teach women to do the same, to not be held back by their limiting beliefs of why they can't do something & to stand on their own two feet & live a life of freedom and independence that no one will ever be able to take away from them. I teach women that they can create whatever they dream possible if they just give up the belief that they can't. This starts with the right mindset and a plan of action. Without these nothing is possible. I teach from experience. I have learned the secrets to what a millionaire mindset looks like & I want to share with you. I also know what it takes to launch a business & I want to share that with you too! I know what it feels like to be lost, overwhelmed, discouraged, frustrated and have too many ideas floating around in your head with no sense of clarity! It's a terrible place to be, I was there and I know. I wish I had it all laid out for me in an easy to follow step by step plan but I didn't. I spent years, and tons of money on coaches and programs that promised to give me the results I was looking for but ultimately did not. Again I felt frustrated and let down and felt like giving up. Along the way I put all the pieces together and I want to share with you so you can save time, money & years of frustration. I packaged everything up in the She's in Biz Blueprint. Or, you can put my years of experience, knowledge & systems to use by implementing proven methods for success saving you thousands of dollars & countless hours of frustration. Move past fear, procrastination, insecurity & feeling overwhelmed! take action now, see you on the inside!